I grew up on Stubhub, and as a frequent user, I always thought that they should offer Stubhub fan codes to loyal buyers. Now they finally do. However, after looking at what you can save using Stubhub coupon codes and fan codes, I have to ask: do the savings from Stubhub’s Fan Codes justify StubHub’s high fees? Most people don’t realize that the majority of tickets on StubHub can be bought without the fees, saving you much more than you would even with the best StubHub promo code (jump to Is There A Better Way to Save? for more on this point. Otherwise, read on to learn more StubHub fan codes). Looking for an easier way to save? Get a $10 discount code and pay no service fees on the same exact tickets on TickPick! 5 Is There A Better Way to Save? The following information is from 2016, when Stubhub has gotten rid of their Fan Code and Fan Reward program. You still can sign up for these programs (see info below), but very rarely does Stubhub give out any discount codes, and if they do it will be added directly to your account or you will receive a Fan Code number. This information is still relevant to this day. Stubhub Fan Codes are free to obtain and dead simple to use. All you need to do is sign up, and you can start earning in 2-3% of your future purchases as rewards for use in later orders. Stubhub’s Fan Rewards program requires you to sign up. 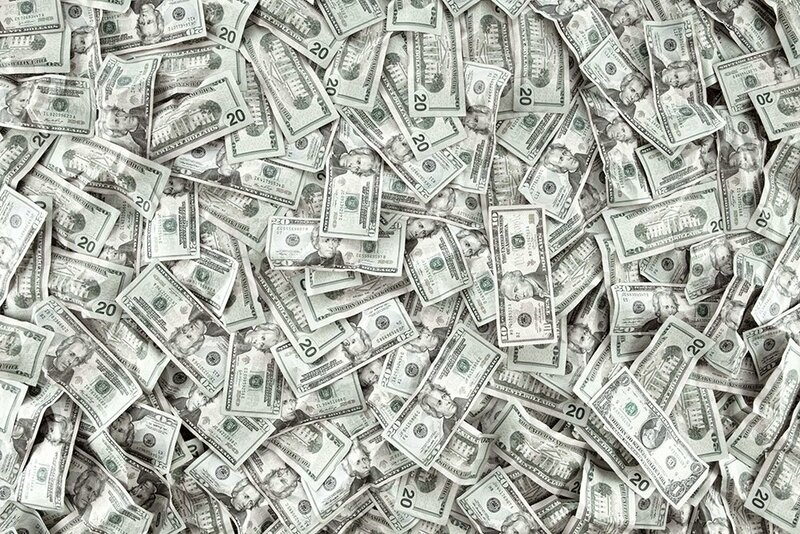 You have to spend money to save money – you only earn rewards after you purchase something (i.e., if this is your first time buying tickets through the reward program, you won’t be able to use a fan code for this purchase, but you would for the next one). Codes expire after only six months. The fine print is a little misleading. “Seat upgrades” only occur if there is a problem with your order, and fan codes can only be earned from and used on “eligible purchases.” This means you won’t earn rewards for purchases that make use of a fan code or other form of discount like a gift card. StubHub’s coupon codes are only made available after you make a purchase, and can only be put towards a future order. So, if you’re looking to save on tickets that you want to buy soon, and you don’t already have a coupon code, StubHub’s Fan Codes program won’t help you. There is a major loophole in StubHub’s coupon codes policy. You see, it’s the Elephant Oak Tree in the room that StubHub never talks about – their fees. StubHub charges upwards of 10-20% to buy tickets and marks up the inventory they receive from fans listing tickets anywhere from an additional 10% to an additional 15%. Meanwhile, StubHub’s coupon codes only give you 2% off future orders (note: if you spend $2,000 or make 10 purchases, you can get 3% off). What is a discount code for 2-3% off worth when they’re charging you 10-20% to buy tickets as well as the 10% to 15% fee that sellers are getting charged? What is the difference between StubHub fan codes and StubHub fan rewards? This can be confusing. StubHub fan codes are the promo codes that you earn when you buy tickets after signing up for StubHub’s fan rewards program. Fan rewards is the program you sign up for. Fan codes are what you actually receive. What is the difference between a fan code and a coupon code or promo code for Stubhub? While they technically do the same thing – save you money off your purchase – fan codes are only earned when you spend money on Stubhub through the fan rewards program. At the same time, Stubhub will very occasionally send out other types of promotions, including promo codes unrelated to their fan rewards program. See below to learn more about StubHub promo codes. How can I find a Stubhub promo code? Stubhub coupon codes and promo codes are only available directly from Stubhub (they create unique codes for each user which is tied to an account), so searching on Google for a Stubhub discount code is worthless. 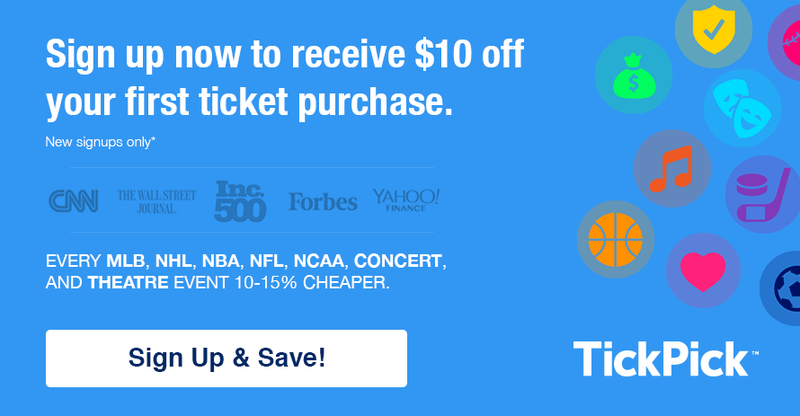 You can sign up for StubHub’s promotional e-mails here. However, it’s rare that they ever send promo codes. Question: I love Fan Rewards! Why is it changing? Stubhub Answer: We’re committed to bringing fans the best experience possible. That’s why we’re always working to improve our products and our programs–including Fan Rewards. And we felt we could do even more. We believe the new experience will bring richer, more meaningful rewards to even more fans. Question: What does this change mean for me? Stubhub Answer: You’ll still be able to find the same great tickets for your favorite teams and artists, but there will no longer be a 2-3% redeemable amount added to your account when you make a purchase. Question: The only reason I use StubHub is for the Fan Rewards. Why should I still use StubHub? Stubhub Answer: There are lots of reasons to choose StubHub! We care about our fans, and we care about you. Every order is covered by our FanProtect® Guarantee. If you have any questions or problems, our top notch Customer Support team is there to help. We wanted you to hear it from us first: it’s time to say goodbye to Fan Rewards and hello to a new and improved loyalty experience. As our company is transforming by better connecting our fans globally to performers, artists, athletes, and entertainment, we’re excited to share that our loyalty experience will be evolving too. As we rebuild, refresh and reimagine a new way to recognize you as a StubHub customer and loyal fan – we are working on an offering that will have more meaningful benefits plus improved and unique customer experiences. • We can’t reveal all the details about all of the new and exciting changes yet. But stay connected with us by email, on Facebook or through our app and you’ll be the first to know! Is There A Better Way to Save? There is. It’s called TickPick. What many people don’t realize is that the vast majority of the tickets on Stubhub can be bought on TickPick without the fees. 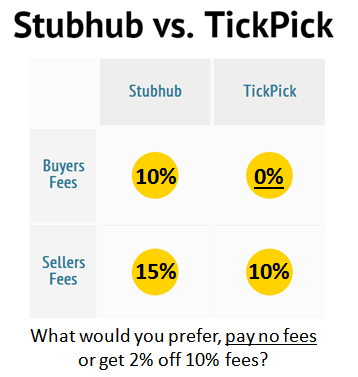 TickPick was started in 2011 as a response to StubHub’s crazy high fees – TickPick’s customers save an average of 10-15% on every purchase with no fan codes required. If you’re looking to save money on tickets, remember that ticket companies who charge high fees will try to disguise those fees using coupon codes, rewards programs, and loyalty programs. TicketsNow does it. VividSeats does it. StubHub does it (note, at one point they showed all-in ticket prices, but because of their high fees [25% in total], they experienced a loss in sales since they were being honest and showing their high prices up front). It’s a fact of modern marketing. But are those fan codes, promo codes, and loyalty programs worth the higher fees? We don’t think so. Check us out. You’ll be glad you did. Compare ticket prices and pay no service fees here on TickPick.